Iran's Permanent Representative to the United Nations Gholamali Kohshroo has accusing the United States and its Secretary of State Rex Tillerson of perpetrating "a brazen interventionist plan" to change the regime in Tehran in complete violation of international laws and the United Nations Charter. In a letter to United Nations Secretary-General Antonio Guterres that was circulated on Tuesday, Kohshroo further accused Secretary Tillerson of flagrantly violating the 1981 Algiers Accords in which the United States has pledged "not to intervene, directly or indirectly, politically or militarily, in Iran's internal affairs." It maybe recalled that Secretary Tillerson had on June 14 informed the U.S. House Foreign Affairs Committee that Washington would take every step possible to prevent Iran from developing nuclear weapons "and work toward support of those elements inside of Iran that would lead to a peaceful transition of that government." 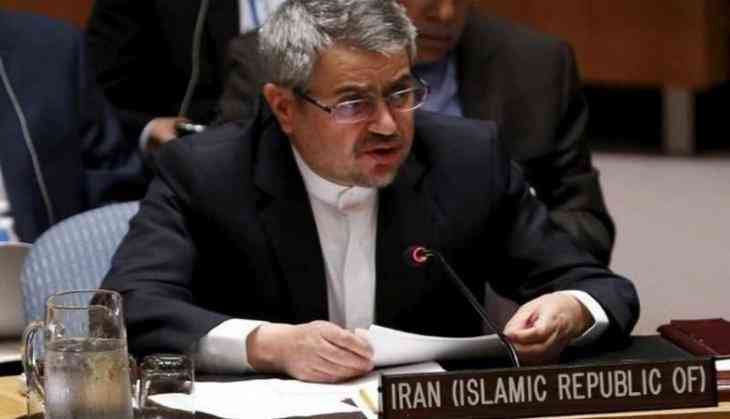 Kohshroo said Iran expects all countries to condemn "such grotesque policy statements and advise the Government of the United States to act responsibly and to adhere to the principles of the (UN) Charter and international law." "The people of Iran have repeatedly proven that they are the ones to decide their own destiny and thus attempts by the United States to interfere in Iranian domestic affairs will be doomed to failure.They have learned how to stand strong and independent, as demonstrated in the Islamic Revolution of 1979," Kohshroo said.